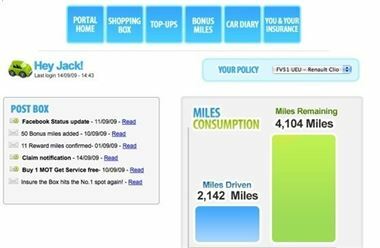 Online telematics based insurer ‘insurethebox’ has released policy renewal data, showing that most customer premiums were reduced thanks to the telematics system. When a customer takes out an insurance policy with insurethebox.com a small computer, called a ClearBox, is installed in their car. This computer monitors driver behaviour over the initial 6,000 miles of cover and rewards good drivers with extra mileage each month at no cost. Drivers can check their average speeds, routes and mileage at an online portal, and can adjust their driving in key areas. Improvements permit policyholders to drive further each month. When it comes to the insurance renewal time, those who have driven well have their insurance costs reduced – the average reduction is 22%. However, those who have driven badly will see their premium rise. It’s an ideal system for younger drivers, because not only does it encourage sensible driving in the most at risk group, but it saves money – useful for cash-strapped younger drivers.